Rapid refresh rates and ultra-fast response times deliver smooth, steady screen performance free from jitters, blurring and ghosting – perfect for graphics-intensive gaming, spectacular sports and action-packed movies. High contrast ratios deliver greater grayscale ranges and outstanding depth of detail. The result? Deep, dark blacks. Rich, robust colors. And more visible detail in shadows and highlights. Get ready to feast your eyes. More input options mean more years of enjoying the action – with the gaming and entertainment devices you use today and those you’ll want tomorrow. 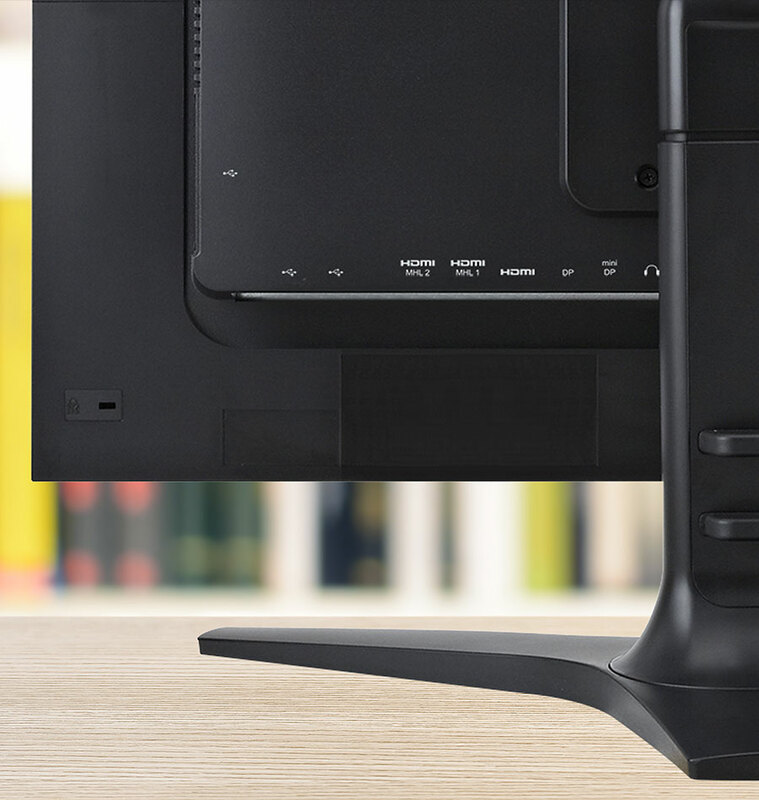 Future-proof your device compatibility with our array of DisplayPort, HDMI, and MHL inputs.